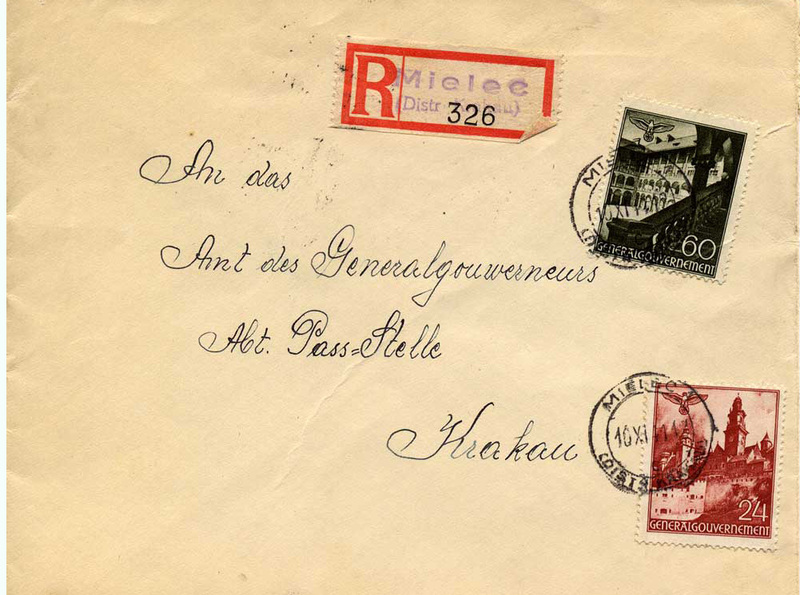 Front and back of a registered cover from the labor camp at Mielec addressed to Krakau and postmarked October 10, 1941. 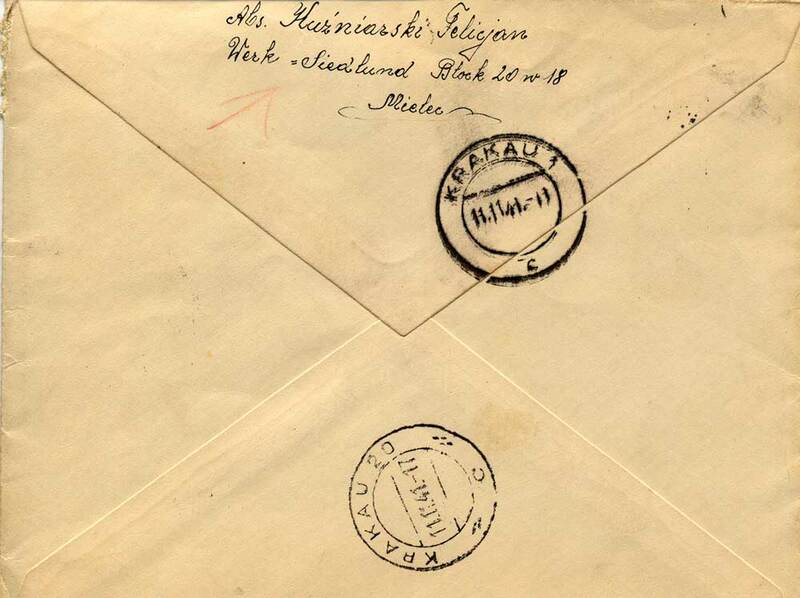 It was received in Krakau on November 11, 1941. At this time, Mielec was a forced labor camp working for Heinkel Flugzeugwerke. In 1944, this camp became part of the Plaszow concentration camp.